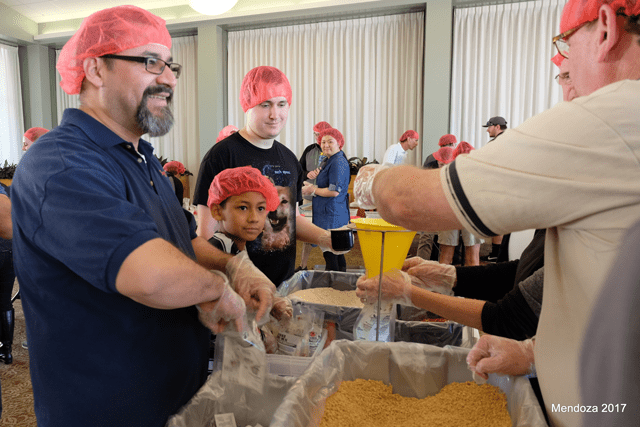 Joint volunteer day packaged more than 10,000 meals. 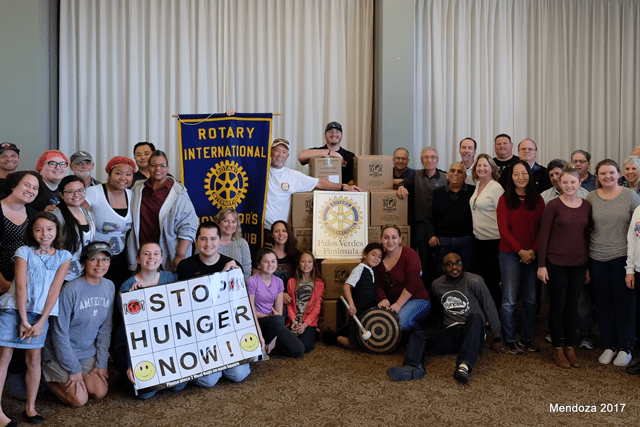 The Palos Verdes Peninsula Rotary Club, under the leadership of President Allen Bond, partnered with the College for Officer Training (CFOT) at Crestmont to join the Stop Hunger Now campaign with a food packing day Jan. 28 at CFOT. 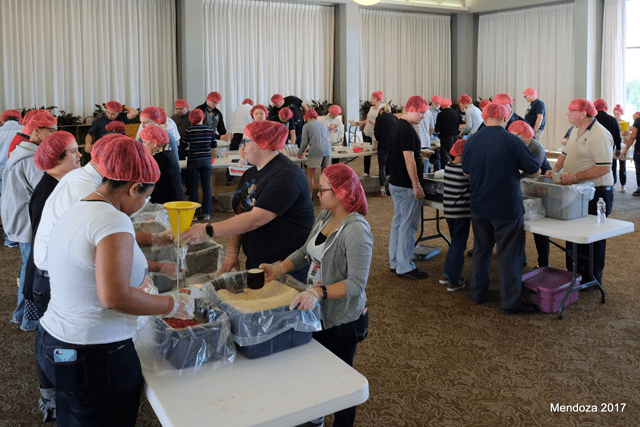 Volunteers from both organizations packaged a record-setting 10,230 meals in 55 minutes. Training Principal Major Brian Saunders, a Rotarian, recruited several cadets, officers, staff and their families to join in the Rotary Club and District grant-funded meal-packaging program, facilitated by the Stop Hunger staff. The packaged meals combine rice, soy, vegetables and a flavoring mix with vitamins and minerals. The nutritious meals are sent to in-country pre-school and school partners in 74 different countries to ensure that the meals change lives by promoting education and improving students’ health and nutrition.